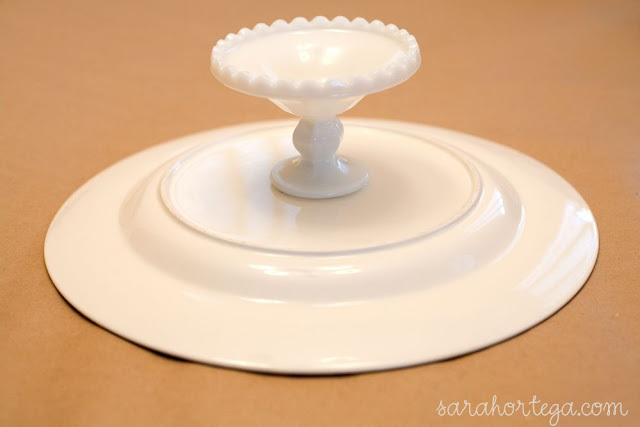 I am loving these beautiful diy cake stands and cupcake platters. 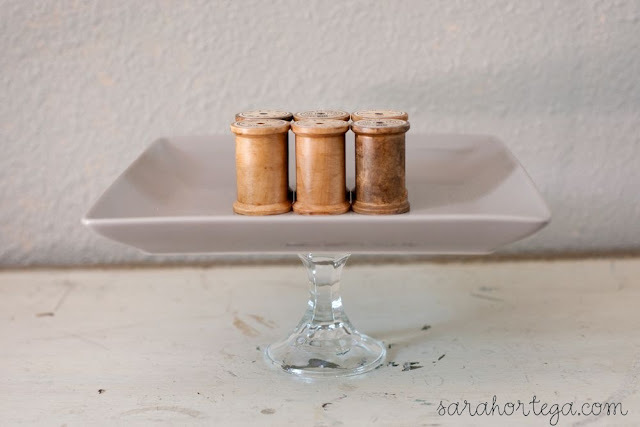 For such an easy and inexpensive project the results are quite marvelous. These lovelies are great not only for showcasing sweets and treats but can also be quite nice for displaying jewelry (as shown above) or a pretty "catch-all" for keys and loose change. Now make something yummy (I opted for blueberry muffins) and admire your beautiful and thrifty treat platter! Just as a side note, I picked up both this large plate ($3.50) and the candle holder ($1.50) at my local thrift store. When I got home I saw that the plate was actually a Kim Parker Chickory Hymn buffet plate that I found selling online for a whooping $24.99! Pretty sweet deal if I do say so myself. I am warning you now that once you start making these you won't be able to stop! 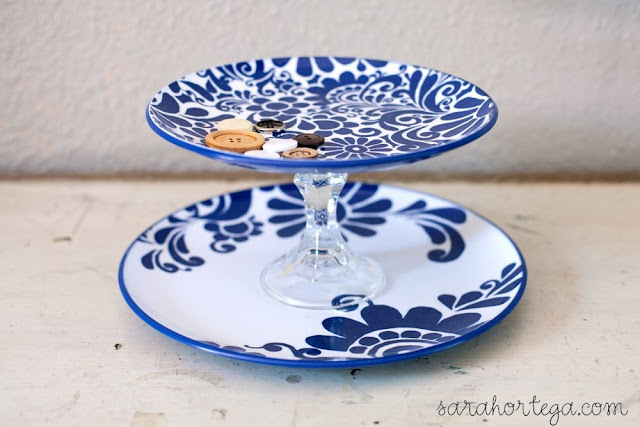 You will begin to see cute plates and candle holders everywhere. LOVE this post! I am getting my jewelry ready for a convention this summer and was thinking of buying a (cheap) cake stand to display... not anymore!!! Love your choice of plates! 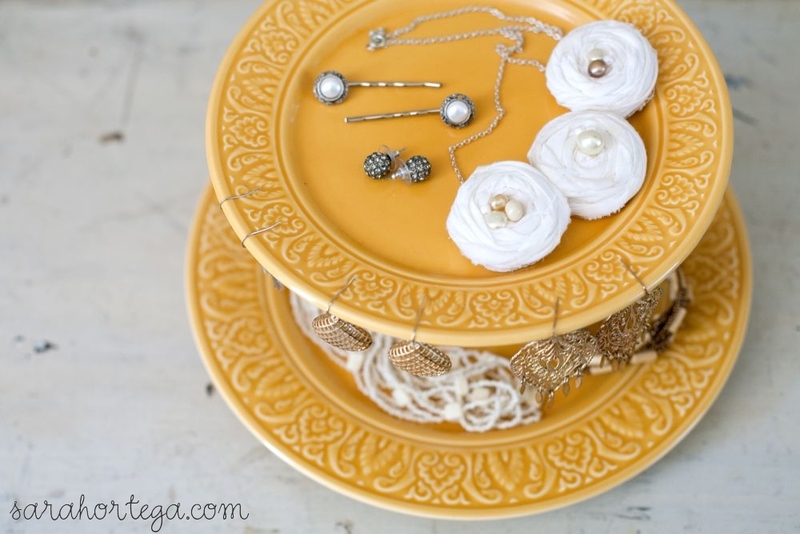 Just wondering if you made that lovely cream flower necklace...if so, can you share a tutorial? 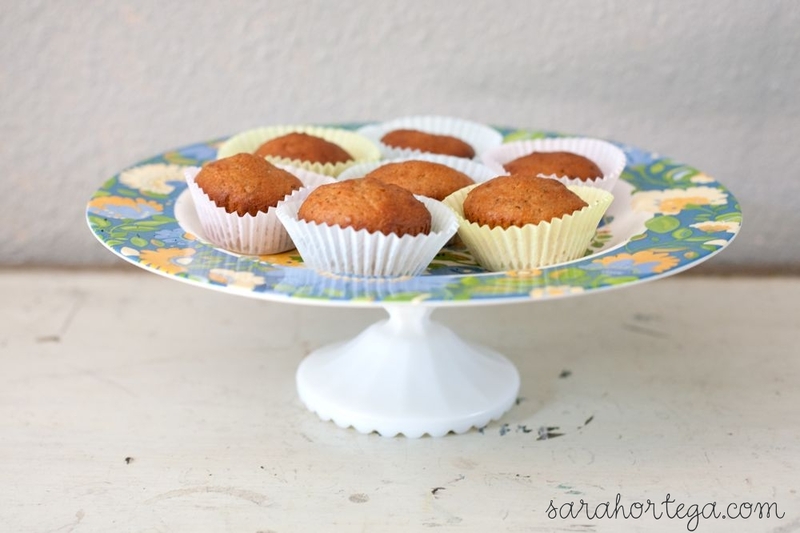 Found your blog via Pinterest and so glad I did! You have a fabulous blog! Love this project! It could be a great addition to my craft show display! Thanks for sharing! Seriously, love this!! I am so making a stand this weekend. And what a great gift idea! Thank you! Wow, how wonderful! Great idea and beautiful photographs! I love ALL of these! Thanks for the how-to! My daughter bought me something like this for Mother's Day and I use it beside the sink to put my jewelry on. It's a candlestick with a saucer on it. It is SO cute and so USEFUL! Really fits my style! I am going to go thrifting and do some myself!!! 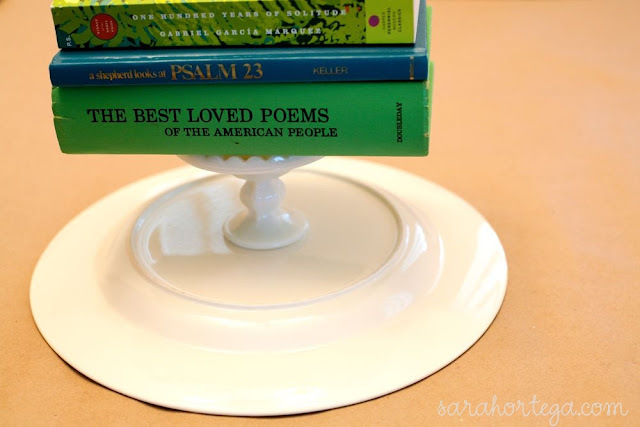 This is a great idea (one among the many great ideas here on your blog!) Thanks for sharing! Your photos are very artful too. Such smart ideas!! I love them all! Beautiful. Thanks for the wonderful idea! for the double ones (the one w/ plates from target), do you glue the bottom of the candle stick to the plate? 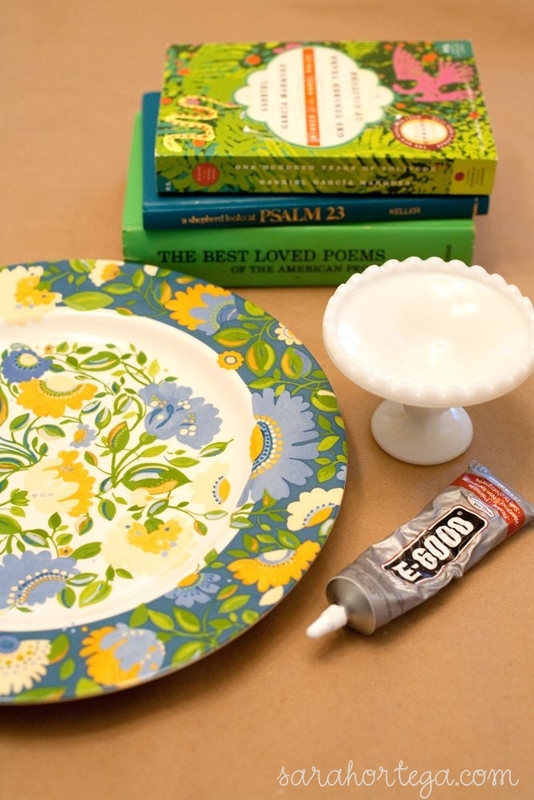 And if so, are there are any tricks for making it so it doesn't show through (the glue, that is). Sara! Love this project. Also was wondering where you got those gold grate-type earrings?--they are beautiful! Love this idea! I've recently fallen in love with thrift stores (who knew you could find such cool serving ware there?! ), so next time I will definitely have to keep my eyes peeled for pieces to create one of my own. This is a fabulous idea! 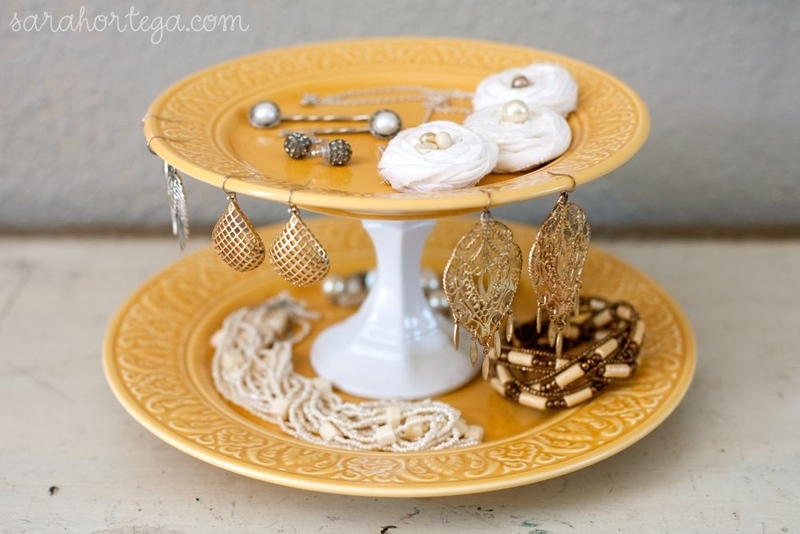 I am using this tutorial to make a tiered jewelry stand.